Sonic Boom Clay Pigeon Shooting Trophies. 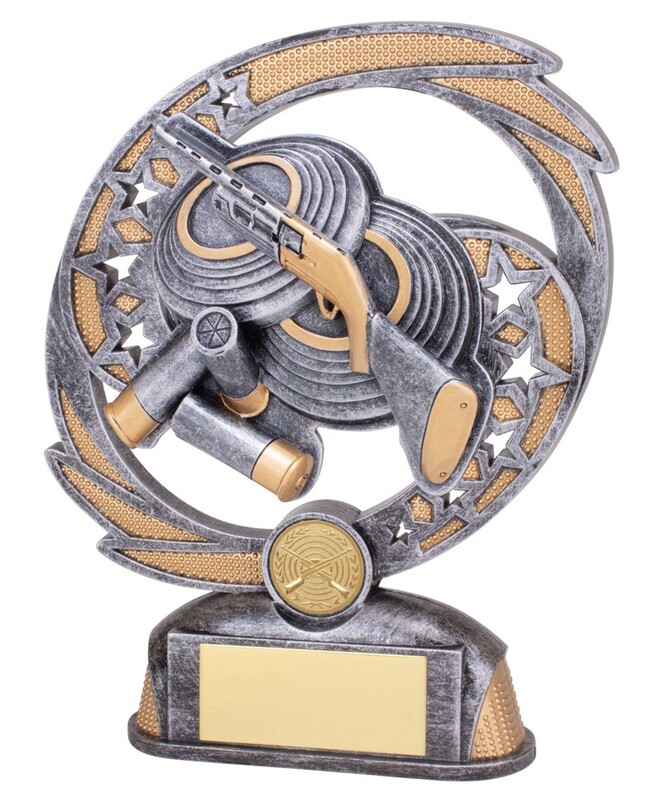 Silver clay pigeon shooting award with gold detail. Available in 2 sizes, 170mm and 190mm high. An impressive great value trophy.